UPDATE: I've had a few discussions about disc speed... because honestly it seems to vary pretty greatly from manufacturer to manufacturer. Technically, speed was originally just a measurement of the rim width. But rim width has zero real information for how it's going to fly in terms of hand speed. Some 2.2cm rims will fly understable, some over stable. That said, you're supposed to throw the disc at a certain speed to get the appropriate flight path - and a few extremely competent players that I throw rounds with, all had a very hard time getting this disc to fly it's intended flight path when we were throwing it at higher hand speeds. It does help quite a bit to throw it very high and really make sure there's minimal OAT or to simply throw it with a slower hand speed. Innova lists their definition as: Speed is the ability of the disc to cut through the air. Speed Ratings are listed from 1 to 13. Discs with high numbers are faster. Faster discs go farther into the wind with less effort. Slower discs take more power to throw, but have less of a chance to fly past the basket. To be honest, it's a bit confusing because if speed is simply a measure of wind resistance or drag - then the #'s that innova uses have no relation to hand speed or disc speed at all. I think that most disc golfers (myself include) have taken the speed meaning to correlate with the speed you throw it. Turns out, that by their definition - that belief was incorrect. You can have a speed 13 disc that won't fly it's intended path if you throw it 50mph and some speed 13 discs will only fly their intended paths at 50mph. So that was my update - please excuse my confusion below about speeds. I'm still learning! 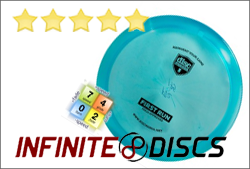 Today's review is brought to you by the fantastic folks at Infinite Discs. Promo Code HEAVYDISC will save you some coin on your next purchase! They truly are stand up folks - they'll get you the disc in your hands and you won't even have to lift a finger! Have a quick look at their selection - it's more fun than you can imagine! So let's get down to business. Innova makes some of the best discs on the planet. These three discs could easily be the Zeus, Poseidon and Hades of Greek Mythology (my son's into Percy Jackson so I'm well versed). They are staples in more bags than I can imagine. The Daedalus is the newest demi-god to show up. It's a mold that was born when the Zeus shagged a mortal and knocked her up... something Zeus was known for doing. 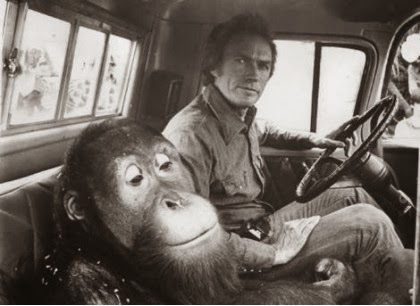 Some gods are just hound dogs. I'm honestly not sure that the speed number really mean much with this disc. I've not been able to crank it at a speed 13 without throwing it on the biggest hyzer I can and I live in Denver where everything is extra stable because of the thin air. Anything less and it'll turn over and hit the ground, murdering worms by the hundreds. Why call it a speed 13? It's probably a marketing ploy - because having a disc this flippy with a 13 speed just doesn't make sense. Taking it down to a more mortal speed 8 or 9, and this disc shines like something special. In the hand, I was immediately impressed with GStar plastic. It feels superb to the touch; grippy, not super gummy at room temperature. Once it's in the sun though it's going to get substantially softer and extremely flexible, much more so than any other plastics that I've thrown with the exception of Vibram soft. Gummy discs are nice when you throwing in trees or where you want the disc to avoid rolling down a hill. The disc is flippy. If you like flippy discs (Roadrunner, Sidewinder, Mamba, Witness) for long distance shots, you will like this disc. When you hyzer-flip this disc or throw it in the right tail wind - you can expect some substantial extra distance. Beyond what I can get with my current stock of understable discs. It's a hyzer flip disc if you regularly throw a Destroyer 400'. If you're maxing out at 300', this disc will most likely gain you some distance because it's going to do the turning for you. It will go drastically right and far on a backhand anhyzer shot. I'd guess it's doing a solid 45 degree turn from the initial line of flight if you really get some mustard on it, which can be incredibly useful on certain holes where you want the extra distance of an anhyzer shot that finished right. It will also be a fantastic disc for throwing uphill on a hyzer line. The glide rating is accurate, it stays up for a VERY long time. It works well as a roller disc as well. 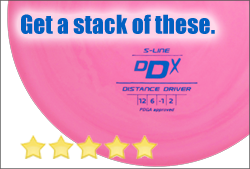 Long and short of it is that this will be a hugely popular disc with beginners/intermediates because they'll be able to throw distances that they didn't think possible. Longer arms will most likely be forced to throw it on a big hyzer when throwing anywhere near a speed 13. Barring the slightly confusing idea of a flippy speed 13 disc, you can expect to see some huge distances with a tail wind and with lesser hand speeds. Beware the Bad Towel When things go seriously bad at least there's a good story to be had. Nice review as always. I like the video as well to really show how squishy GStar is. Kind of hard to explain that in comparison with other discs without demonstrating. Thanks Alan - I wanted to get some footage of the disc in flight, but it turns out it's almost impossible to film myself... going to have to find a buddy to hold the camera on the next one. Is the GStar plastic comparable to ESPFLX? Would you day this disc is very similar to the Tern? I've not thrown any discraft ESPFLX, only ESP. I would describe it like a slightly tackier feel than star, and at room temp it feels like a star disc that was out in 90 degree sun for a while. My buddy Kyle throws the Tern non-stop and based on what I've seen in the flight pattern, it's similar to the more understable versions... just a .1 cm wider rim and the proto I have has a fairly flat flight plate. The Tern in Champ plastic was apparently more stable 12 6 -2 2... and the other plastics were a turn of -3. My Dinner with John E.